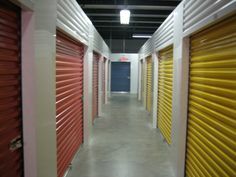 Storage auctions are a great way to make a little money. Sometimes you might get lucky and make a lot. Whichever way, there are several tips that might come in handy should this be a path you wish to pursue and get you bidding and winning like a pro at the storage unit near you. You are going to have to do a bit of research first of all to uncover the storage auctions in your area. You can phone around your local storage facilities to find on when these might be held, or see if there are any directories covering your country or region for news of these. If you have found your facility in a directory on the web, it is still considered a good idea to get in touch with them and see how they run their storage auctions. Everywhere has its own ground rules and etiquette, beyond what could be quickly encapsulated in an internet article. If they have anything in writing about how their auctions work, ask for it to be emailed over. You might find some interesting surprises, such as an entrance fee or no dogs allowed etc. Before you go you need to think about the eventuality of winning an auction. If you have a truck to cart away goods then that’s brilliant, if not then you might need to bring a lock with you and take over possession of the storage unit until you are able to get the items out of there. The storage company will in that case give you a time by which to clear the unit out and request a deposit to help guarantee this, which you will get back once the unit is empty and ready to be reused. It is worth getting down early if you can, and see if you can get any sort of access to the storage units being bidded on. You probably won’t be given much of a chance to have a rummage around, usually you are only allowed a quick view from the entrance point. It might be worth acquiring a torch so that you can see into the unit more clearly. It is at this stage that you can draw up a worst case estimate of the unit’s worth. (If you aren’t sure what certain items you have spotted are worth, now is that time to fire up the smartphone and have a look on ebay in this great day and age!) Try to aim your bids no higher than half of that, perhaps starting at a quarter. Be firm with yourself and don’t go over your maximum bid, no matter how appealing this might become in the heat of the moment. As a final piece of advice, bear in mind that these auctions are very often cash only. It won’t be any good slapping a card down. In many ways that’s a good thing as that can physically restrict the amount you can purchase and thereby ensure you don’t go over budget. Just ensure you have enough with you to make this a worthwhile venture.